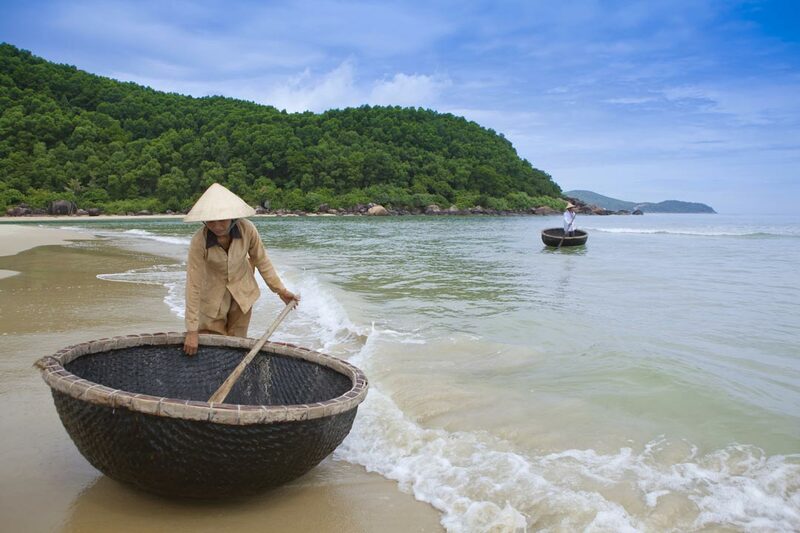 Come discover a hidden gem at Lang Co in Central Vietnam, framed by the emerald blue waters of the East Sea and the majestic mountain peaks of Truong Son (Annamite). 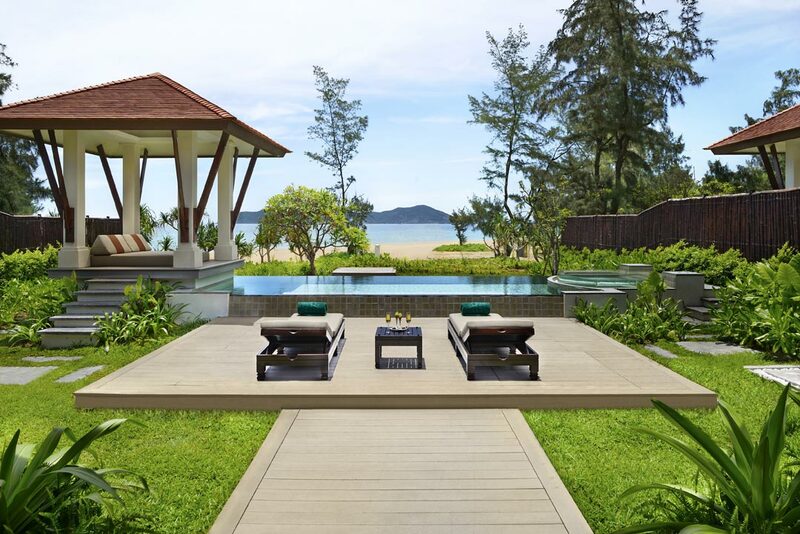 Set on a crescent bay with golden sandy shores, Banyan Tree Lang Co is an exclusive all pool-villa resort offering unparalleled privacy and unspoiled natural beauty. 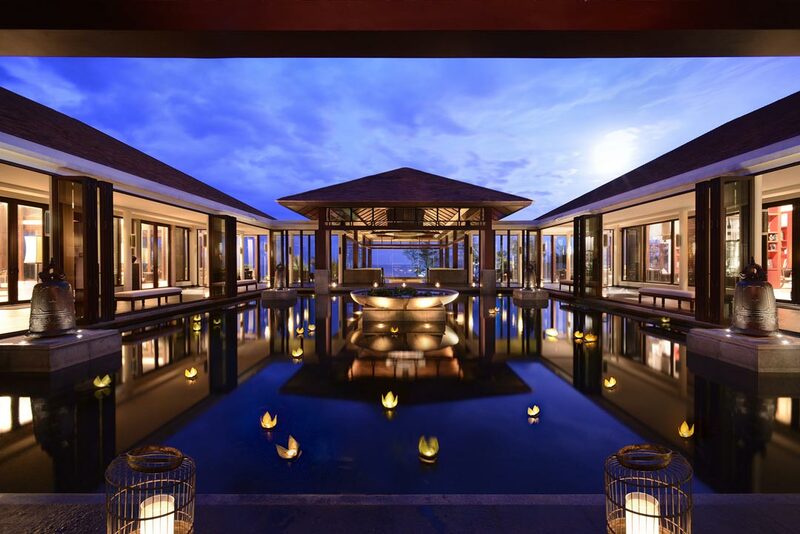 Its location within the Laguna Lang Co complex and its proximity to the UNESCO World Heritage Sites of Hue, Hoi An and My Son ensure an enriching experience in and around the resort. 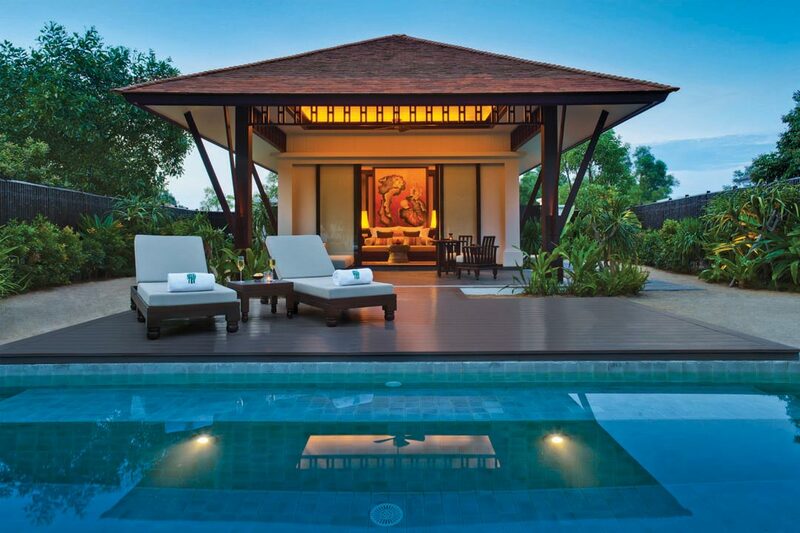 This unique holiday destination is truly a Sanctuary for the Senses. 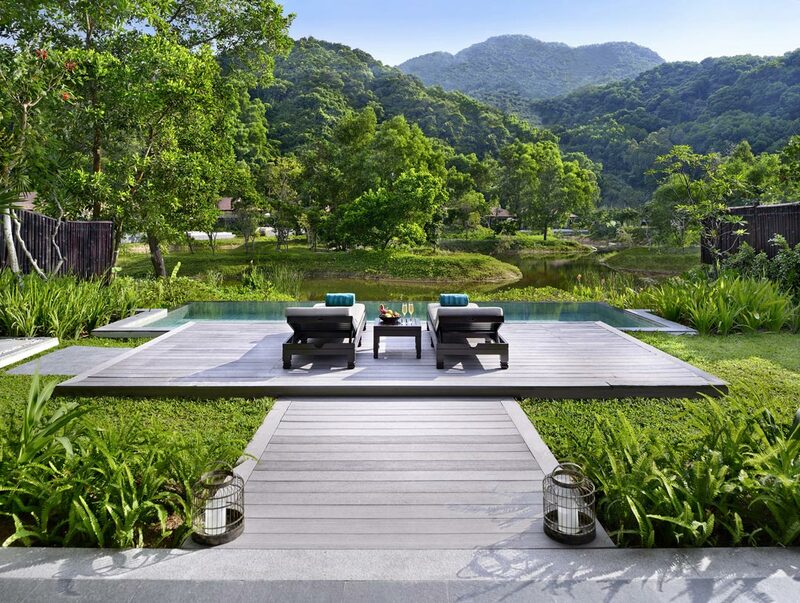 Banyan Tree Lang Co, an all-pool villas resort, offers an intimate collection of 56 one- to three-bedroom villas and boasts all the facilities necessary for a thoroughly enjoyable vacation. 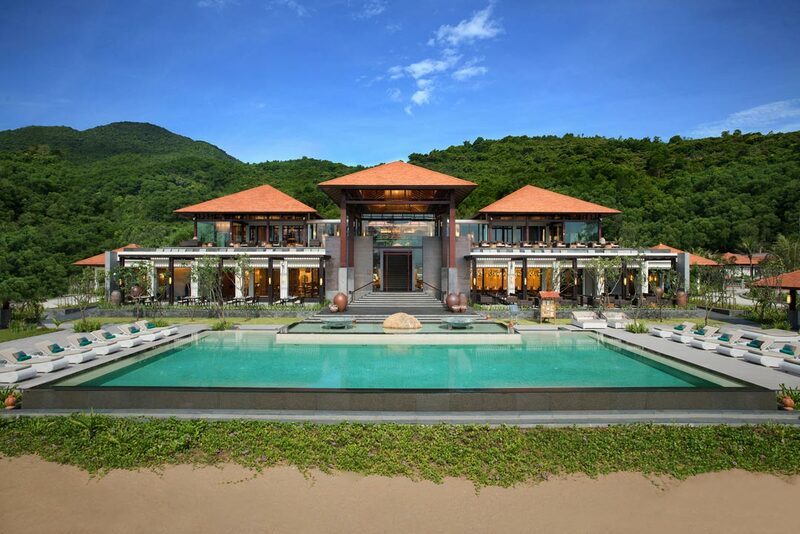 Rest on a spacious pool terrace complete with sun loungers, and partake in every comfort offered by this lavishly appointed luxury villa in Vietnam. 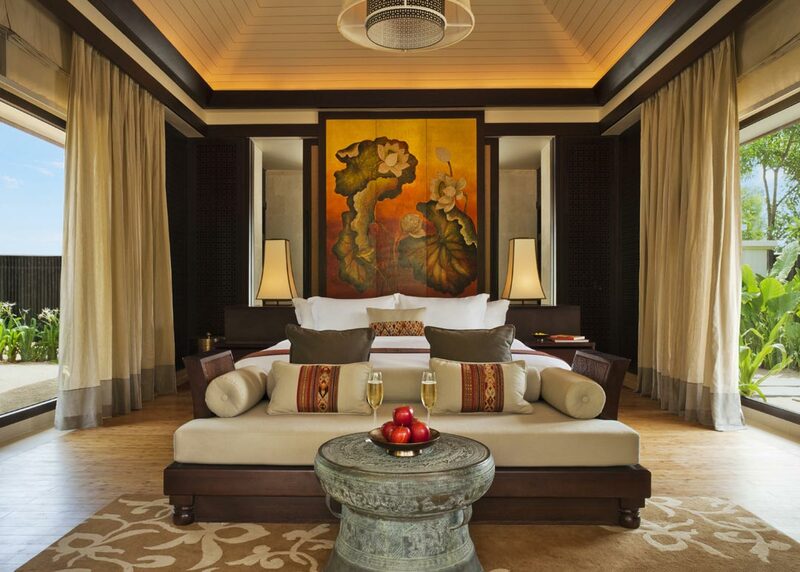 Neat stone steps, lushly tended private gardens, indulgent bedding and a bath menu complete the experience in the heart of Southeast Asia. 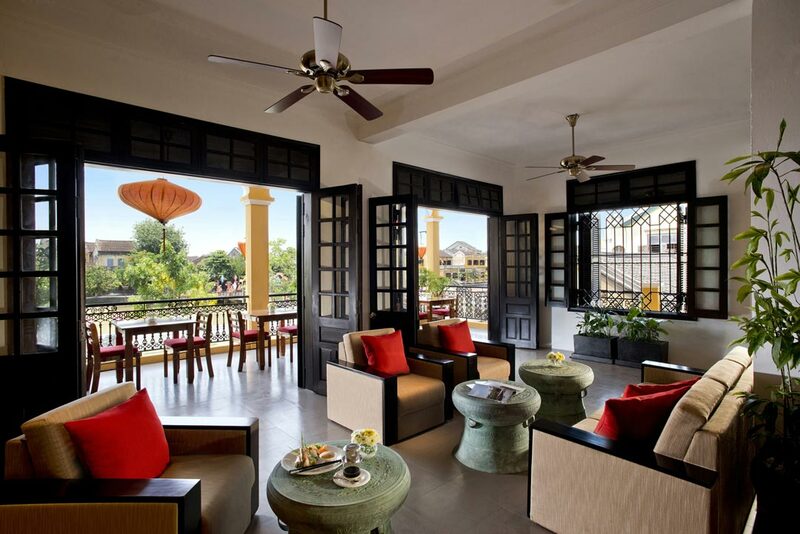 Rates per villa per night, single or double occupancy, inclusive daily buffet breakfast, soft drinks from the minibar, daily complimentary shuttle service to Hoi An and Hue, 10% governement tax and 5% service charge. Half board and full board rates upon request. 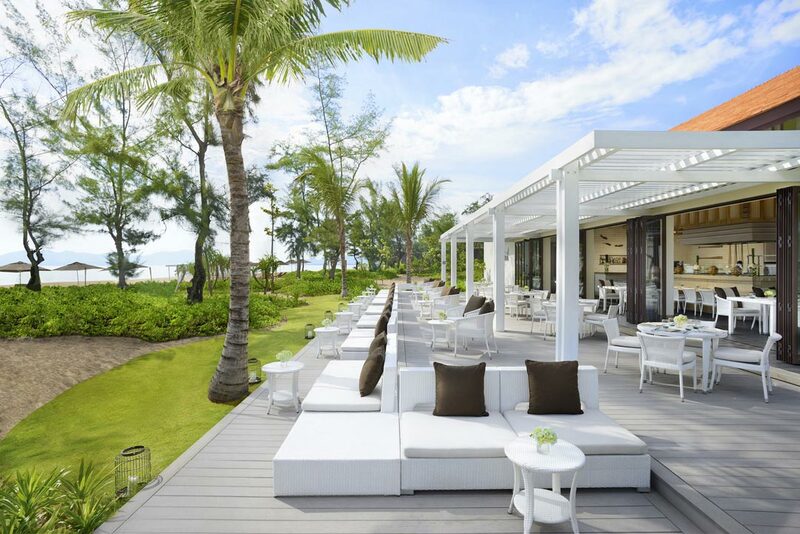 Azura : serves up good old-fashioned Italian recipes, succulent offerings of seafood and deliciously scrumptious appetisers. 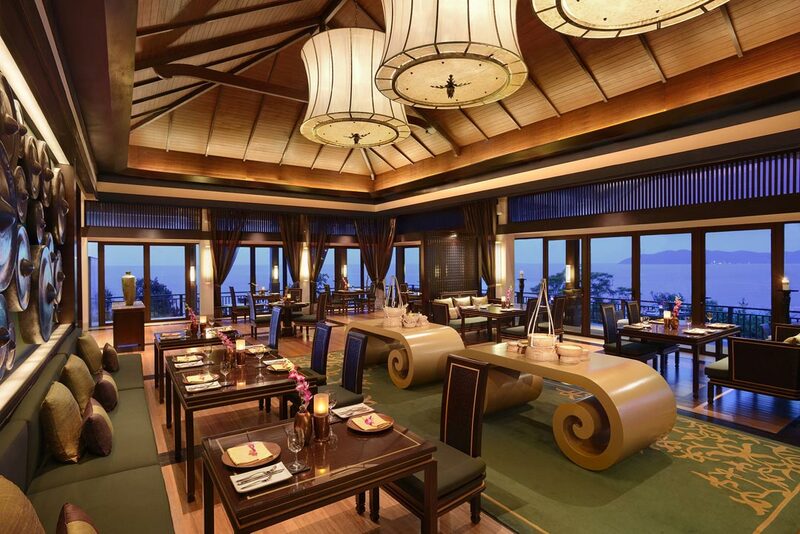 Saffron : Banyan Tree's signature restaurant Saffron features a crafted menu of traditional Thai dishes cooked with a modern touch. 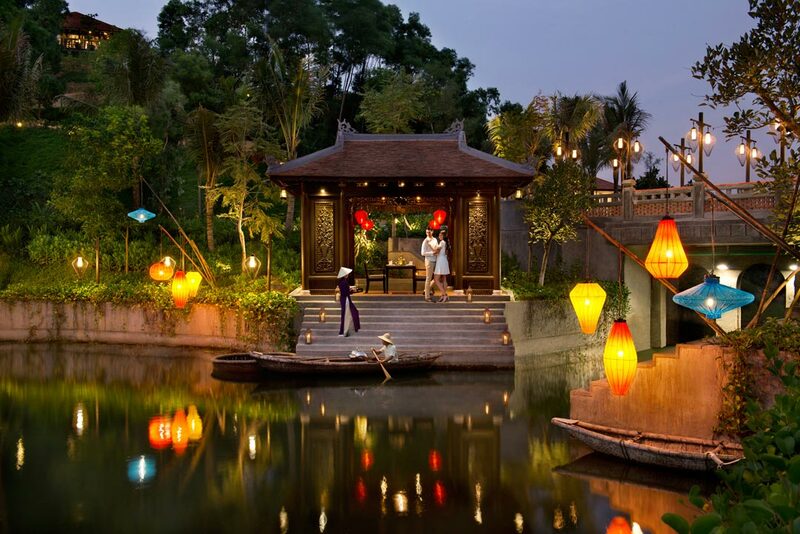 The Water Court : provides a savoury menu of Vietnamese and international cuisines. Thu Quan : all-day snack menu alongside an impressive tea selection. 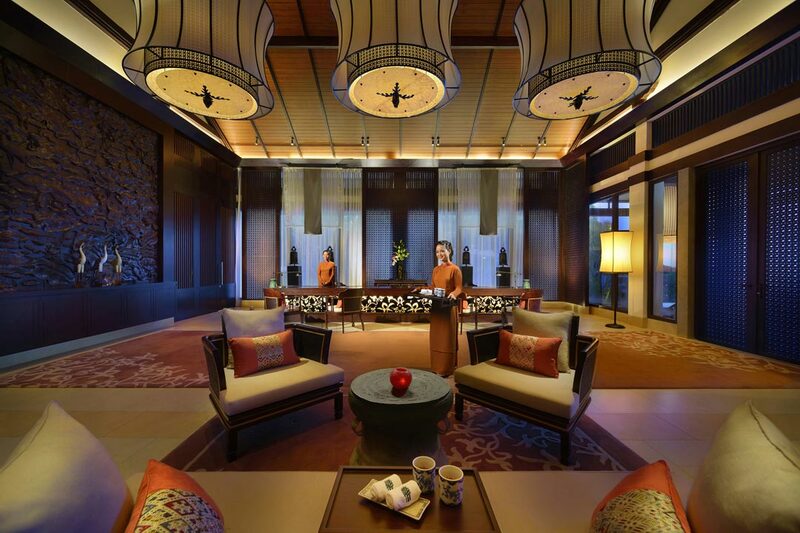 Seek physical and spiritual bliss at the award-winning Banyan Tree Spa Lang Co. 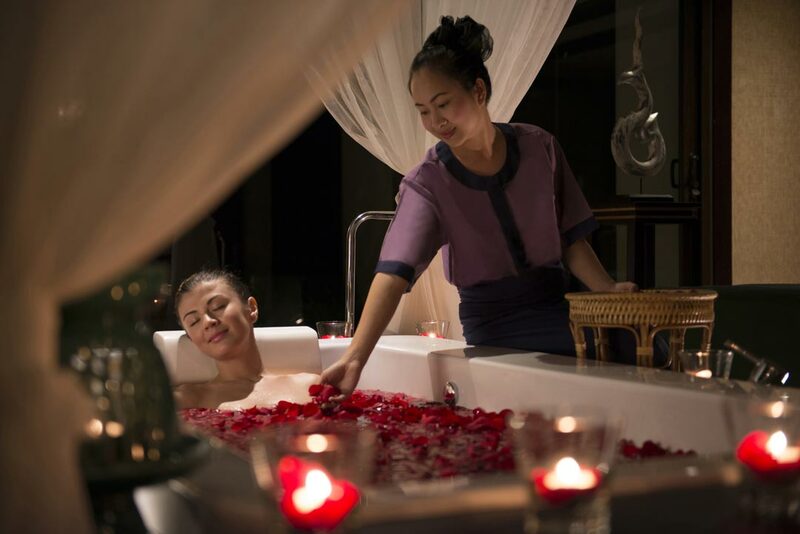 Using a blend of aromatic oils, organic herbs and spices, expert therapists draw on centuries-old techniques to deliver relaxation and rejuvenation with every treatment. 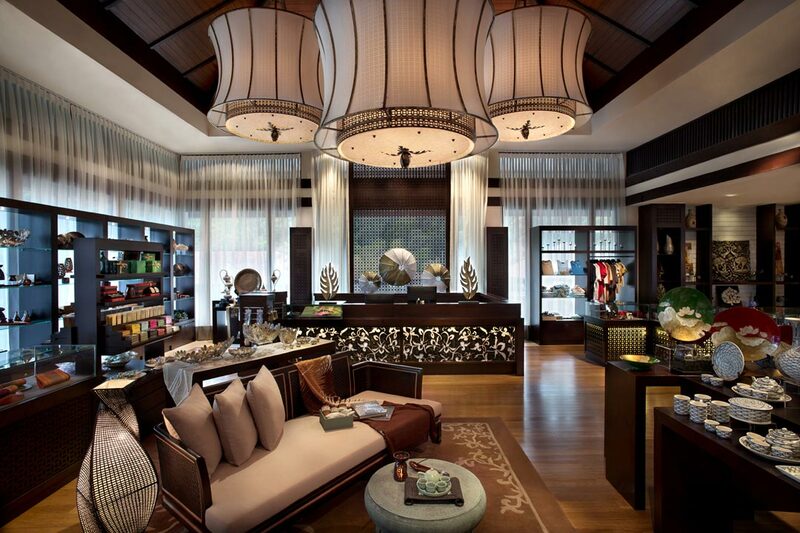 Be pampered like royalty and leave the cares of the world behind.